It’s no secret why subscription boxes are becoming increasingly popular. These services allow you to receive monthly deliveries of virtually anything you desire. These boxes cover a variety of interests from clothing to snacks. With so much to choose from, finding something you love won’t be hard. Here are a few noteworthy subscription boxes worth checking out. Cake by Courtney is an Instagram sensation known for her incredible baking talents. She has recently taken her business to the next level and created a cake subscription box. Each month features a new cake, and you will receive a box with pre-measured ingredients ready for you to bake. You can learn how to create beautiful, homemade cakes with guidance and easy to follow instructions. You can find her website here. With Datebox you start with a series of questions to determine the best curated box for you. Following this questionnaire, they will use your answers to mail you an entire date night directly to you. There are activities, games, and snacks you can enjoy from the comfort of your couch. It’s a great resource for anyone who is looking to try something new or for couples with kids who don’t want to hire a babysitter. Put the kids to bed and enjoy a thoughtfully planned evening full of fun. If you’re interested in learning more, you can find their website here. Butcherbox is a service that delivers meat straight to your door. You can select one of several packages they offer or you build your own customizable box. Choose from beef, pork, chicken, or salmon. All of their products are free from antibiotics and hormones. Their overall goal as a company is to make quality meat accessible. Their website is packed with valuable information. You can read about it here. Stitch Fix is a company that offers styling services. You take a quiz based on your clothing and accessory preferences. After that, a stylist will curate a personalized box for you and send it in the mail. When you receive your package, you can try everything on and send back anything you don’t want. Stitch Fix offers users the choice of a monthly box but it is not required. If you’re interested in learning more about this company, you can find their website here. Yes, subscription boxes for your pets are available as well. Barkbox is a monthly subscription service that sends your dog new toys and all-natural treats. Each month has a different theme that everything in the box represents. It’s a great gift for that special furry friend in your life. If you want to learn more about Barkbox, you can find their website here. With hundreds of subscription boxes to choose from, it’s easy to find one (or ten) that you love. 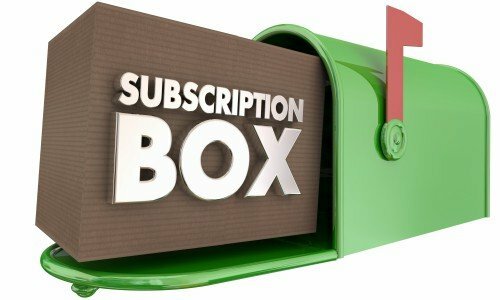 Trying new things, giving a useful gift, and discovering new talents are just a couple reasons why you should give subscriptions boxes a try.